Choose a season to filter your products. If necessary, filter the product list further. After a few moments, the line sheet details page will open. From this page you can use the buttons to download or email the line sheet PDF file. To view all existing line sheets, click on Line Sheets in the top-left menu. Settings>Paperwork do not control the way line sheets are displayed (e.g. 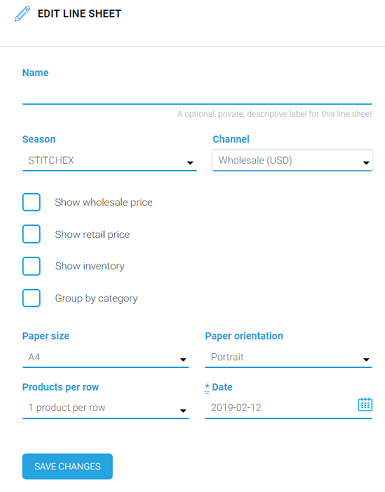 paper size, paper orientation, products per row, date formats). The settings for Line Sheets are controlled directly within the Line Sheet as shown on the above. When you "Save Changes", your Line Sheet PDF will automatically be generated with the new format. 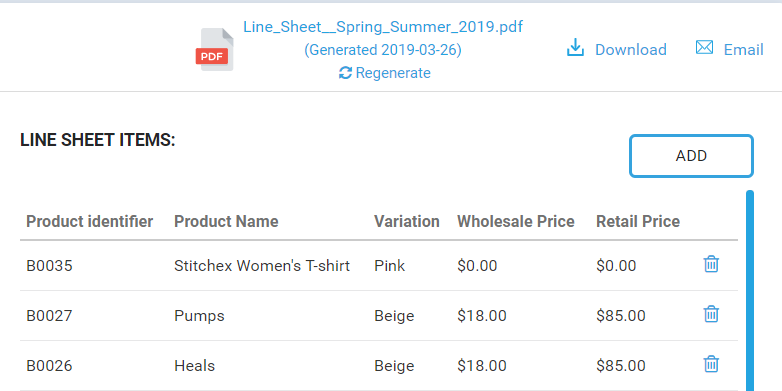 To remove a line item from the Line Sheet, click on the recycling bin at the end of the product row. To add a product, click on the "Add" button. When you are through making changes, you can click on the "Regenerate" link at the top to update the PDF with your changes. If you select Email, your default email client will open. 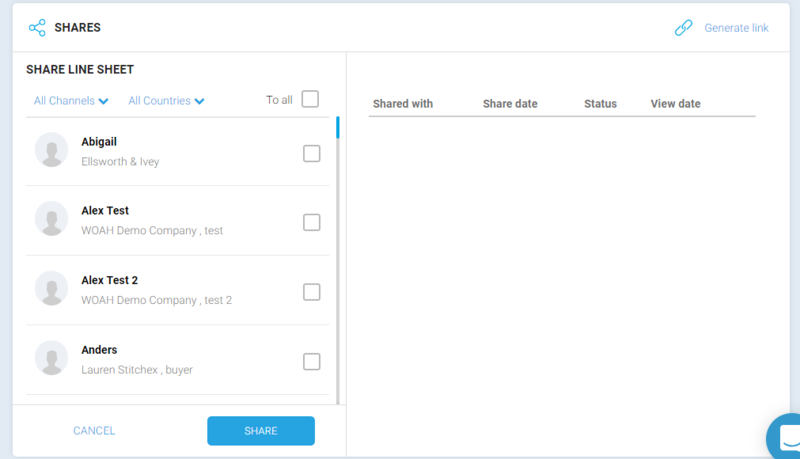 Note at the bottom you will have an opportunity to include "additional attachments" with your email send. Select the documents you want to include and deselect the documents you do not want to include. These attachments can be managed by you in Settings>Attachments. See more information about Channels to learn how you can setup different pricing streams for your customers (e.g. Wholesale customers or Private customers).